Rome’s vast artistic heritage and Baroque splendor make it one of the most visited destinations in the world. 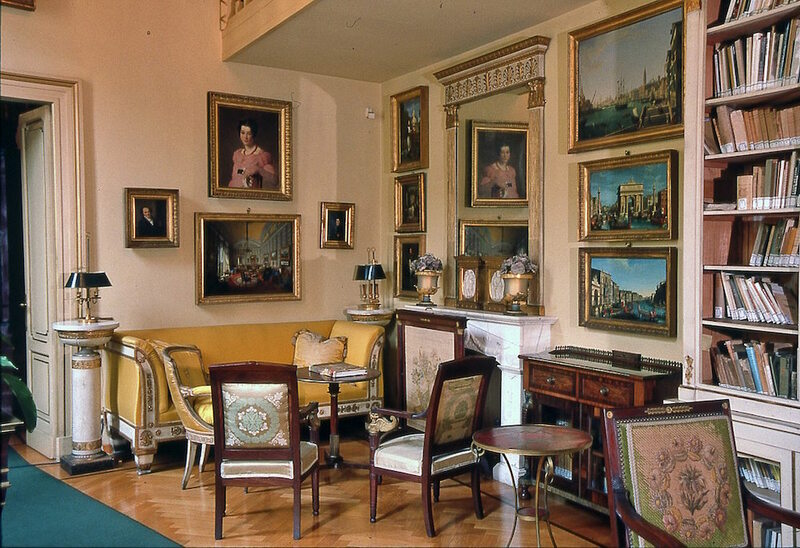 In the last century the city’s house museums increased in number and scope, including not only noble dwellings but also the homes that celebrated the finest artistic minds, both Italian and foreign, who lived and worked in the Eternal City. 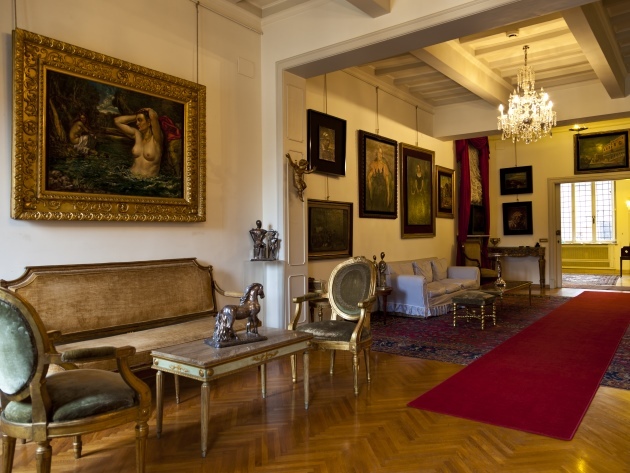 Here are five house museums that provide intriguing glimpses into the living and working styles of some of Rome’s most influential novelists, playwrights, poets, painters, and sculptors. If you want to visit them all, here you can find some great holiday lettings in Rome where to stay for a few days. The triplex apartment, a relatively recent addition to Rome’s cultural scene (Far orchestrated its preservation as a museum, which opened in 1998), offers a glimpse of the living and work style of a successful artist in the mid 1900s. The interior’s public rooms are surprisingly lush with classic French pieces and sumptuous fabrics for an artist whose stark cityscapes drew international renown. On the apartment’s second floor you’ll find de Chirico’s studio and bedroom; the third floor, or rooftop, offers sweeping views of Rome. Throughout the home you’ll find prime examples of de Chirico’s paintings from the 1940s until his death, ranging from still lifes to portraits, as well as the artist’s bronze sculptures. House Museum/Fondazione Giorgio e Isa de Chirico; 31 Piazza di Spagna; tel. : 39 06 679 6546; fondazionedechirico.org/casa-museo/. There are three tours per day. Visits must be reserved in advance. MARIO PRAZ. Author, aesthete, art connoisseur and collector, Mario Praz, whose seminal books on interior design, including the landmark An Illustrated History of Interior Decoration: From Pompeii to Art Nouveau, helped give new cultural significance to the decoration of houses, lived in the antiques-filled apartment in the Palazzo Primoli from 1969 to 1982. So great was Praz’s aesthetic influence that Praz inspired the lead character (played by Burt Lancaster) in Luchino Visconti’s film Conversation Pieces. Praz advanced the idea that furnishings were important makers of social history and how the evolution of a room could serve as personal narrative (he wrote about the contents of his home in the autobiographical book, The House of Life). The nine-room flat is filled with the well-traveled Praz’s collectibles: rare books, portraits of artists, the aristocracy and Bourbon royalty; French bronzes, German china, dolls, maps, and neoclassical, Biedermeier, and English furniture. Via Giuseppe Zanardelli1; tel. : 39 06 686 1089; casemuseoitalia.it/; polomusealelazio.beniculturali.it/ Open Thursday, Friday and Saturday for accompanied tours. KEATS-SHELLEY HOUSE. 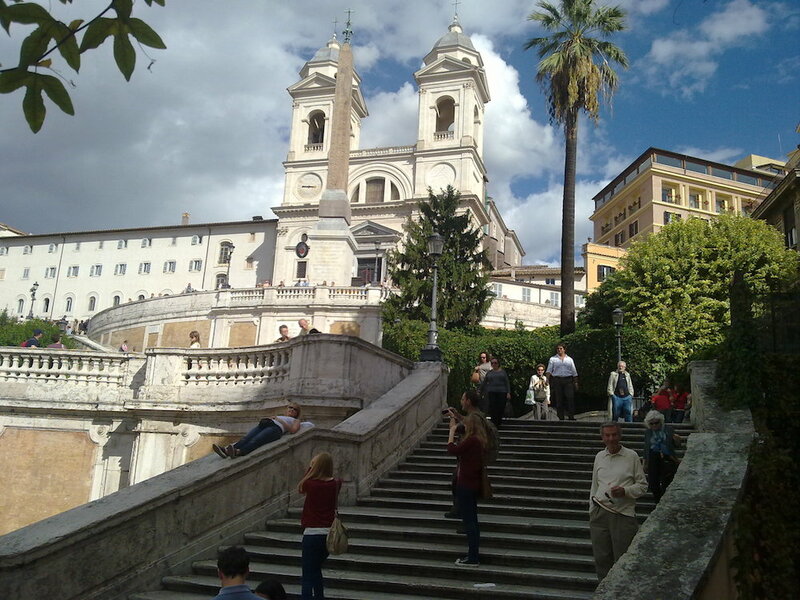 Romantic poet John Keats moved to Rome in 1820 in hope that the city’s mild climate would help with his tuberculosis, settling into the small flat adjacent to the Spanish steps that is now home to the Keats Shelly Museum. (The movie Bright Star with Ben Whishaw portraying the doomed poet vividly depicts his time in Rome in addition to his romance with Fannie Brawne.) Keats died in the apartment a year later and in keeping with the health regulations of the time all the dwelling’s contents were removed and burned. In the early 1900s a group of prominent poets pushed to restore the apartment, a cause supported by no less than Teddy Roosevelt and England’s King Edward VII. In 1909 the dwelling became the Keats-Shelley House, a center for the study and celebration of Romantic literature. An assortment of literary memorabilia, including letters, first edition books (the center houses one of the most notable collections of Romantic literature in the world), a snippet of Keats hair and a Venetian carnival mask worn by Lord Byron, fills the small flat which also has period furniture that shows how the apartment looked when Keats lived there. Piazza di Spagna 26; tel. : 39 06 678 4235; keats-shelley-house.org. Open Monday-Saturday: 10.00 AM to 1 PM, 2 PM to 6 PM. STUDIO DI LUIGI PIRANDELLO. Playwright and author Luigi Pirandello, the 1934 Nobel Prize winner for literature and a seminal figure in modernist drama, was famous for his farcical dramas and comedies (including Six Characters in Search of an Author) grew up in Sicily, but spent many years living in Rome. Pirandello’s gracious apartment in an Art Nouveau villa showcases his living room/studio with its original Florentine furniture, over 2000 books, and work space with the Underwood typewriter he used to hammer out his plays and novels, along with manuscripts and his Nobel citation (he received word of his award when living here). 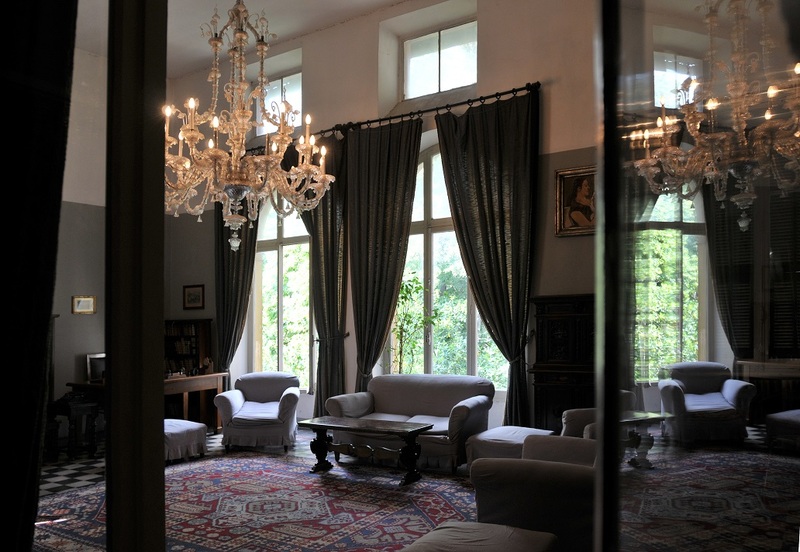 The villa is home to Institute of Pirandello's Studies and Italian Contemporary Theatre, which is celebrating the 150th anniversary of the writer’s birth this year. Via Antonio Bosio, 13 B - 15; tel/fax: 39 06 442 91853; studiodiluigipirandello.it/ Open Monday-Tuesday, 9 AM to 2 PM; Wednesday-Friday, 9 AM to 6 PM. HENDRIK CHRISTIAN ANDERSEN. A prolific Norwegian sculptor and great friend of the American author Henry James, Anderson settled in Rome at the Villa Helene after a stint in Newport, where he taught sculpture to American heiress Gertrude Vanderbilt Whitney. Anderson’s creativity didn’t stop in the studio—he envisioned a Utopian city dominated by art, whose ubiquity would foster a more humane and peaceful society (it never came to pass despite Andersen’s extensive writings, including his ten pound book, A World Center of Communication). Thanks to his Newport connections, Andersen mixed and mingled with the city’s expat elite and aristocracy, whom he immortalized on canvas and in marble. 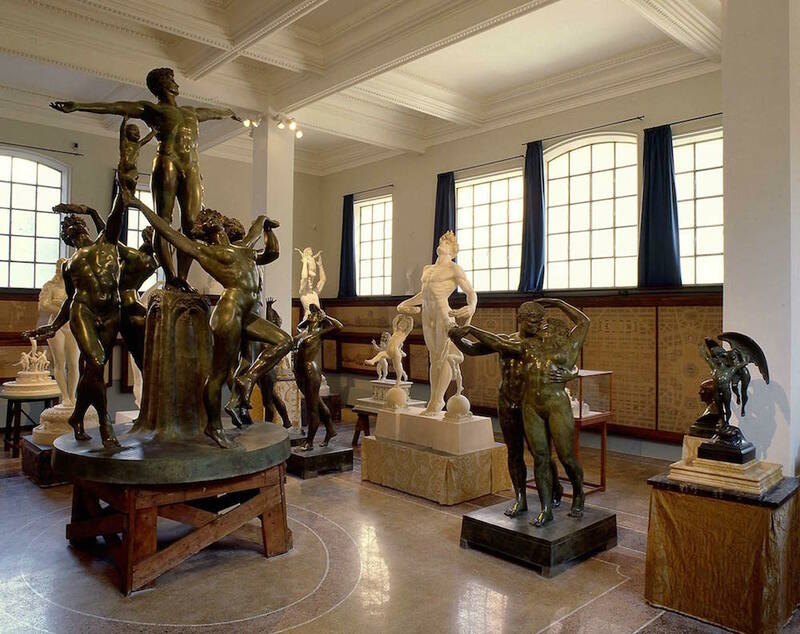 The villa contains hundreds of Andersen’s often large scale neoclassical sculptures and paintings. Via Pasquale Stanislao Mancini 20; tel. : 39 06 321 9089; museoandersen.beniculturali.it. Open Tuesday to Sunday, 9:30 AM to 7:30 PM. For other "secret" places we suggest you go in Rome, don't miss our article on five of the city's most opulant palaces available to visit.